A new year brings a new effort to pass medical cannabis legislation in Kentucky. The path is often hard, but the momentum has built year after year and many think this is the year that substantial progress will be made on medical marijuana in the Bluegrass State. Allowing people access to the medicine of their choice doesn’t seem like a battle that should be necessary. Those who oppose medical cannabis will tell you that they are simply looking out for patients and that they are protecting them from themselves. But who has more right to decide what you ingest than you do? More than anything else, the fear and stigma that surrounds marijuana needs to be overcome in states like Kentucky. What else would account for the hesitancy on the part of many lawmakers when it comes to advancing medical cannabis reform measures? Every year patients from all over the state descend on Frankfort and plead their case, and every year they are denied relief. Who is harmed if a doctor recommends that a patient use cannabis? I can certainly show you who is harmed if a doctor is not allowed to make that recommendation. Rep. St. Onge told us she believes that HB 136 would pass if it made it to a vote on the House floor. 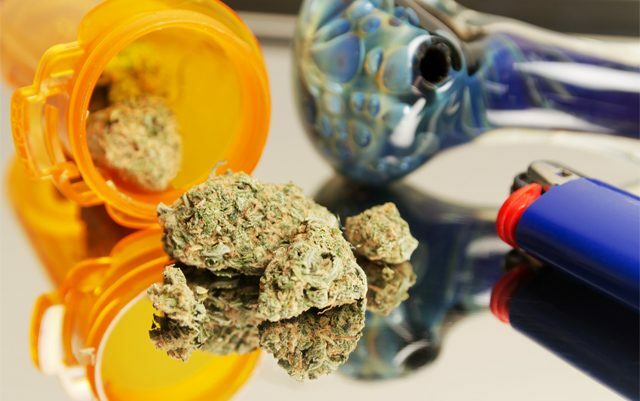 “There is also some support for medical marijuana in the Senate and as we allay fears with references as to how these have been addressed by this bill, we gain more support daily,” she said. Hopefully 2020 will be the year the legislature gathers to improve the medical marijuana bill passed this year. Patients cannot wait any longer, and there is really no good reason to make them do so. You are correct, sir! I live in North Dakota and, to my complete surprise, the voters here passed a MMJ Compassionate Care Act, Nov. of 2016. I’m a Permanently Disabled Veteran who has been on Dr. prescribed Opioids for over 15 years now. After “stepping” through SO many other drugs, it’s the only one that gave me any relief from my severe Chronic Pain. I now have Neuropathy in my feet and hands, and even more severe conditions. I struggle through every day and can not drive anymore. I really do believe these Opioids (OxyContin) have helped to make my conditions even worse! I had never researched the Facts about MMJ and after talking to my doc over a year ago, about the efficacy of MMJ for me, he said I was the perfect candidate for changing over to it. He is approving my State Application for a State MMJ Card, but the schedule for implementation keeps getting pushed back! Well, I found out this week that they should have MMJ medicine ready for qualifying patients the middle of February! PTL! I have been frustrated with our Legislators “slow-walking”of the implementation, but am so glad that it will finally get going! I’m not a pothead or a stoner. In fact, I think the whole “Stoner” culture keeps a lot of people from even reading the facts about cannabis! I want to use cannabis, by vaporization, to get off of Big Pharmas poison and perhaps obtain a more “quality” of life, that I have truly not lived for the past 17 year, but I DO NOT want to Worship it. The Stoner Culture helps to thwart the efforts of ending cannabis prohibition. I see this changing, recently, but it needs to change much faster, if we want to truly get more people in our corner! I also worry whether or not I’ll be able to afford medicating with MMJ? No idea what the cost will be here and I won’t have any help from my Med. Ins. Provider! The ever-rising, outrageous cost of OxyContin has already drained my family’s financial savings! Who can afford $1,400.00/mo., out of pocket? Big Pharma is allowed to keep gauging people that can’t afford these poisons anyway and what has been done to stop this atrocious price gauging? Nothing! I know ND has not regulated it put restrictions on what Dispensaries will charge, but let the free market prevail. That’s fine, but what about people, like me, that struggle, as it is, trying to support their families on a limited, fixed income? Hopefully these new MMJ businesses will have some sort of compassion! ND will not allow anyone to grow there own medicine, either. I’m hoping, if things get tough for too many patients, they will revise these regulations. I will be an advocate for MMJ, if it helps me, and from what I’ve learned over researching it the last year, I’m very confident that it WILL! If you are still for prohibition of cannabis, please read the facts! Someday, you may find it can help you too?! Why trust Big Brother, no matter what he says? Everyone has a mind of their own. Use it! God bless you, brother. You are going to need all the MMJ you can pack and buy some stock in Imodium AD before you get off of those Evil OxyContin. I’m on my third attempt of opioid removal after taking Suboxone for 15 years and it’s not going well. However, I wouldn’t even consider attempting it without the sweet collie weed. Great article and I appreciate the insight but what is up with all of these states which have already passed MMJ legislation, and I know it’s in the works for Tennessee and Kentucky that prohibits smoking the flower? It’s just too much for them to completely let go and give the people what they want. I understand the concept of giving up some things just to make it more tolerable to the old muppets in government so they will go along with it, but come on! There also needs to be legal personal grow allowances written into the legislation for those of us that can not afford our medicine after the wonderful “Commonwealth” gets done giving us another good pounding.